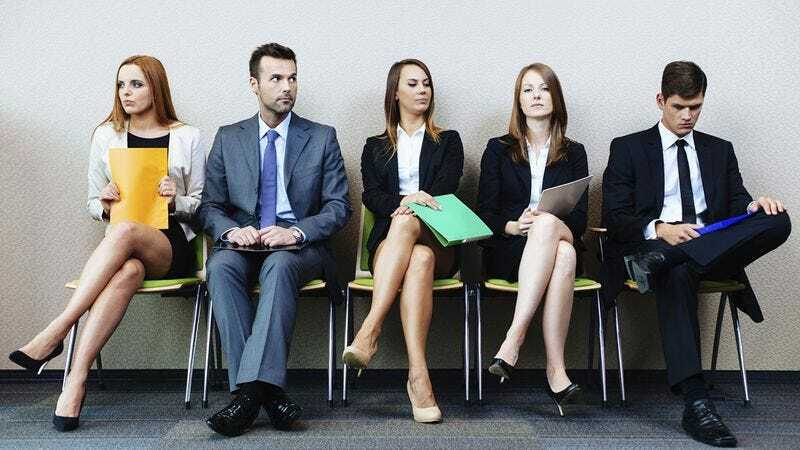 Job interviews are stressful, but here are some time-tested tips to impress any potential employer and render you unable to look at the world in the same unsullied light. Rehearse answers to common questions a few days beforehand to trick the interviewer into thinking your answers are genuine reflections of your thoughts. This is a lie all job seekers participate in. A firm handshake is an effective way to make a good impression, but will also destroy your inner child a little each time you do it. You’re a manipulator of people now. Looking directly into someone’s eyes will convince him or her that you believe what you’re saying and that you’ll never, ever recover from looking directly into another person’s eyes and lying. Take two or three seconds before responding to any question to help collect your thoughts to form the precise answer your interviewer wants to hear, understanding full well that you will spend the rest of your life unable to express your real thoughts and feelings about anything. Asking an interviewer questions of your own will trick him or her into thinking you care about his or her opinions, and that he or she isn’t merely an expendable stepping stone on your way to securing a paycheck. This is the world laid bare and we’re sorry you have to see it this way. Wear nice business attire to every interview as an unspoken signal that you are willing to conform to a preexisting corporate structure. Yes, innocence is a wonderful thing, but it is gone now and you will never again be so pure. Writing a thank-you note causes your interviewer to remember you more favorably while overlooking your flaws. That’s the reason you’re sending it, and the only reason. You don’t have to do this, of course, but when you’re ready to barter your innocence for a job, this scam will be here. Getting plenty of rest will sharpen your attention and focus so you can more efficiently enact the parade of deceits discussed above. But it’s not you sleeping. It’s a new you, a person you no longer recognize.